Akrotiri'sexcavations have uncovered one of the most important prehistoric settlements of the Aegean. 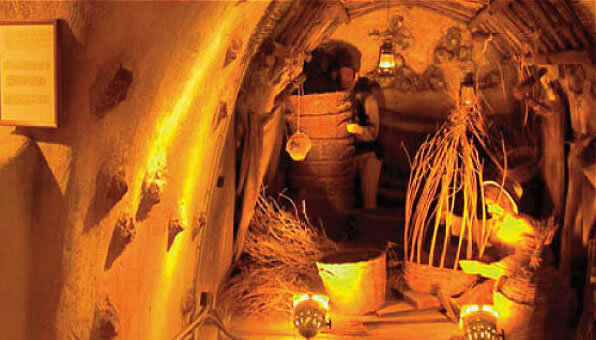 The first habitation at the site dates from the Late Neolithic times. 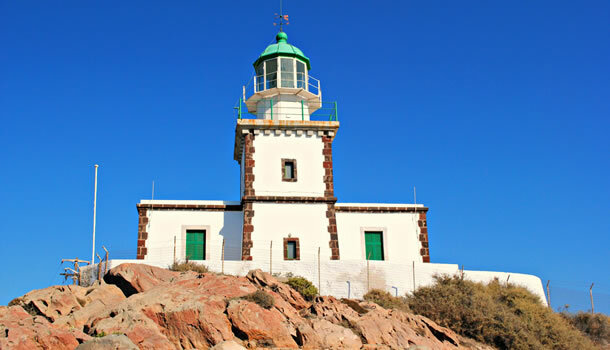 In Acrotiri we can also visit the famous lighthouse that was built in 1892 by the French Company Lighthouses. 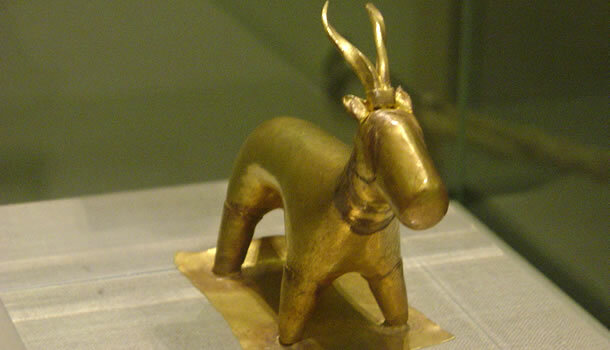 Museum of prehistoric Thera in Fira is one of the most important in Greece. 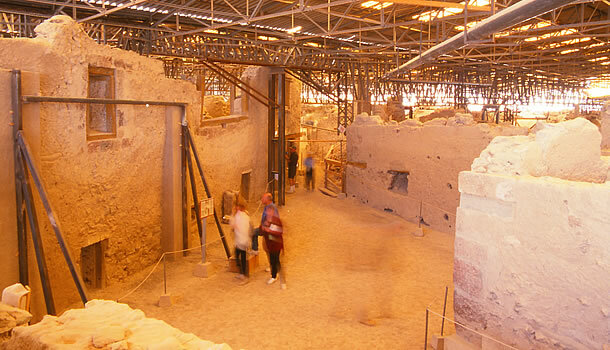 The museum can be seen as an extension of the archaeological site of Akrotiri, once housed the frescoes and finds the urban center in this period of great prosperity (17th century BC.). 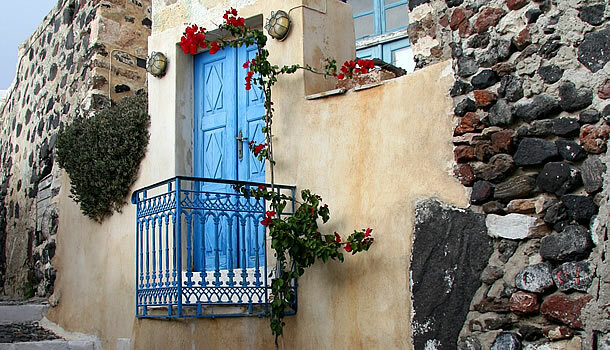 Pyrgos is an exceptional village with its own castle and precious stoned pathways. 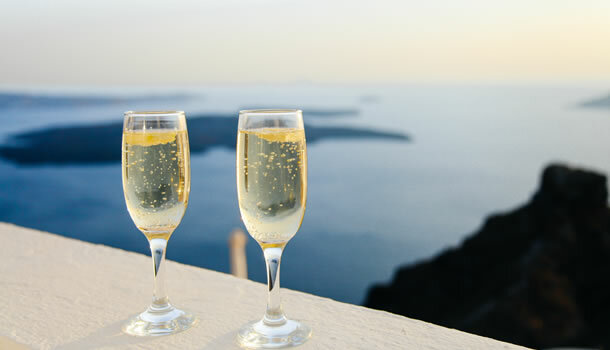 The most perfect sunset in the world is in OIA. Walk through the village. Red Beach is a picturesque beach, the most famous of the island. It took its name from the bright red color of the sand and rocks in the area. 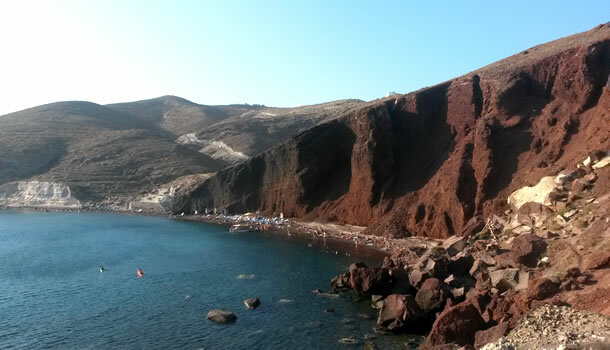 Black Beach (Perissa) is one of Santorini's best beaches. Next to Emporio village, a long, dark, sandy, endless beach. A feature that makes Perissa unique is the fact that it's the best - protected beach from the summer Aegean winds. Firostefani is the oldest village of Fira and has the best view of the Volcano. 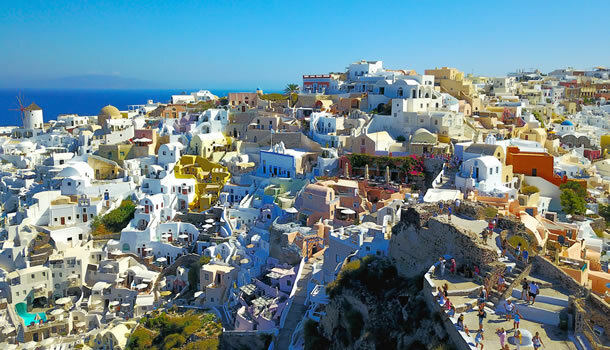 OIA,built in the northern side of the island, is an impressive settlement known all over the world for the magnificent sunset from its Goulas. In recent years the buildings have become hotels, restaurants, cafes, stores. Profitis Helias is the highest spot in Santorini, where you can take unique photos. 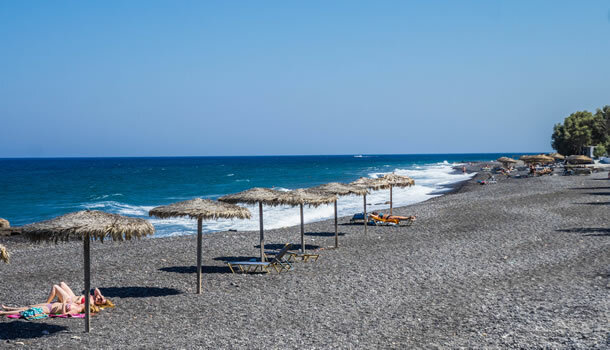 Kamari Beach is huge in length and width, fully equipped with sun loungers, umbrellas and souvenir shops, with fine black sand, gravel and water that deepens abruptly. At the southern end of the beach dominates a tall cliff, from which many adventurous swimmers dive. Winery Sigalas. 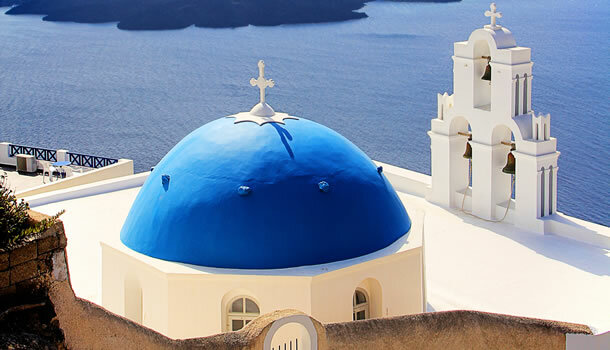 live the total wine experience at Domaine Sigalas in Santorini, taking a Wine and Gastronomy tasting seminar, or having a Menu Degustation.